Unless you’ve built a stockpile of savings or lucked into a windfall, you’ll probably need a mortgage to buy a home. Qualifying for one requires adequate income and a solid credit profile. Some lenders will approve borrowers with less-than-stellar credit, but there’s a limit to low they’re willing to go. If you’ve been turned down for a mortgage due to credit problems, here’s some good news: You can make your credit better, and faster than you might think. NerdWallet spoke to three consumers who had credit problems, took matters into their own hands and were able to successfully buy homes. Here’s how each of them made it happen. In early 2008, Alan Pugh’s credit score was 535. He was mired in more than $20,000 of debt, and 13 of his accounts were delinquent, though many were only $200 or less. The Elyria, Ohio, resident, who currently works in the customer experience department at an app development company, knew he had to stop the collectors and find a way out of debt. Pugh made a plan. First, he visited annualcreditreport.com and collected his credit reports from all three bureaus. He then outlined each debt, the date each account went delinquent and the date the last payment had been made, his account numbers, the collection notices and any other pertinent details. Pugh hadn’t kept great records, but he saw some debts on his credit report that he didn’t recognize. So he took action. Then Pugh tried to reduce each verified debt. “I went bottom-up, calling each debt collector starting with the lowest value, making offers by telling them exactly how much I could budget as an offer to settle,” he says. He also asked each if it would remove the delinquent account from his credit report entirely. He says it’s not common for creditors to do this, but some did. “Across the board, I settled for less than half of what I owed in every case,” he says. Last, Pugh began restoring his credit. He was taking college courses on a tuition reimbursement program, but he applied for a student loan anyway. This helped him establish enough credit to qualify for a basic credit card. He also began monitoring his score monthly and stuck to smart financial habits, such as paying his bills on time. About a year later, his credit score hit 640 — the minimum required for him to get an FHA loan at the time. Just 26 months after beginning his efforts, his credit score skyrocketed from 535 to 733. Nowadays, it hovers around 800. In 2010, Alex Stowell and his husband, Ryan Adkins, opened a high-end dog boutique in Austin, Texas. Two years later they made the difficult decision to close the business. Both were forced to file for personal bankruptcy because the business had no assets and everything was guaranteed under their names. Before the closing, Stowell’s credit score always floated between 685 and 700, and Adkins’ had remained above 700. After the bankruptcy, both scores plummeted to about 420. “We had some rebuilding to do,” Stowell says. Both men had car payments that weren’t dismissed in the bankruptcy, and continuing to make recurring, on-time payments quickly helped their credit, Stowell says. Adkins also asked his parents to co-sign on a credit card. He put expenses on the card and then paid them off in full and on time each month, which also helped restore his credit. Stowell obtained a secured credit card, which required a $50 deposit for a $100 limit. He maxed it out every month and paid it off right away. Between both of their efforts, within about six months, both credit scores were already back up to 620. “We were in our mid-20s, the business had just dissolved, and the next step of what we wanted to do in life was be homeowners,” Stowell said. The couple met with a mortgage lender and were told they wouldn’t be able to get a mortgage until at least two years had passed since the bankruptcy. Sure enough, just two years after filing — when Adkins’ credit score was up to around 690 and Stowell’s was around 680 — the couple was able to close on a home using an FHA loan. They did have to explain the bankruptcy during the home buying process, but lenders didn’t seem to mind because it was done for business purposes. People had warned them that the effects of a bankruptcy would haunt them for years, but “it hasn’t been that daunting,” says Stowell, who now works as a client relations director at a software company. “Bankruptcy is not the be-all, end-all.” In fact, they’re currently in the process of buying their second house. Lisa Langdon, a payroll manager in Round Rock, Texas, says she ran up a lot of credit card debt in her early 20s. During that time, she was a full-time student in New Hampshire and working multiple part-time jobs. Still, she was typically only able to make minimum payments on her cards — sometimes 28 days late, aiming for just short of 30 days to avoid dinging her credit. Despite always paying within the grace period, her credit score hovered around 620 due to her high debt load. “I realized that if I wanted to pay this off, I needed to make more money because my current income was barely getting me by,” Langdon says. When she turned 30, she moved to Texas; her brother lived there and told her about the lower cost of living and strong job market. She began working three jobs, and about a year later, after finding her current position, she was finally making enough to put some of her income toward lowering her debt. Langdon says then she decided to set up an official plan to be debt-free in five years. She created a spreadsheet of her cards and their balances, then began by making extra payments on the credit card with the lowest balance. Once that was paid off, she attacked the next card, and if she received a raise, she put it toward credit card payments. Langdon was careful to keep her zero-balance accounts open so their credit history would remain intact. She knew closing a long-standing account can hurt your credit score. But to help prevent herself from using the accounts, she cut up and threw away most of the cards. Once Langdon paid off her debts, she checked her credit score and was shocked to see it had risen from 620 to 740. “I did not think you could have a score that high unless you owned a home, but it is possible to get there if you can be responsible with your credit and keep your debt-to-income ratio down,” she says. Once she was debt-free, Langdon kept herself on the budget and started saving the money that previously went toward debt payments. Because her credit was in good shape, she was approved for a 3% down mortgage through Fannie Mae’s HomeReady program, and she bought her first home in April. Langdon went into the home buying process carefully, ensuring she could easily afford the monthly mortgage payment and set aside savings each month. “Had I not done this, I am sure I would have started using the credit cards all over again,” she says. Are you looking to improve your credit like these motivated homebuyers? 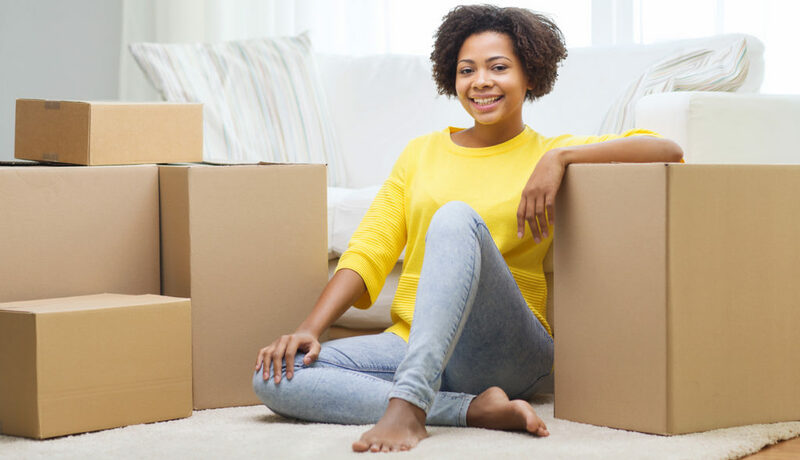 Many first-time buyers prepare for homeownership through homebuyer counseling. These programs cover the complete home buying process, how to improve your credit and planning a budget. Studies have shown that these programs develop more successful homeowners. Plus, if you are using a down payment program as part of your home financing, most programs will require that you participate in homebuyer education, often through a HUD-approved counselor or agency. Discover your options through eHomeAmerica, local counselors with NeighborWorks America, or find local counselors listed by state on HUD’s website. Click here to see why YOU should CHOOSE US to buy or sell your home! Emily Starbuck Crone is a writer at NerdWallet. Email: emily.crone@nerdwallet.com. Twitter: @emstarbuck. The article How 3 People Conquered Credit Trouble and Bought Homes originally appeared on NerdWallet.